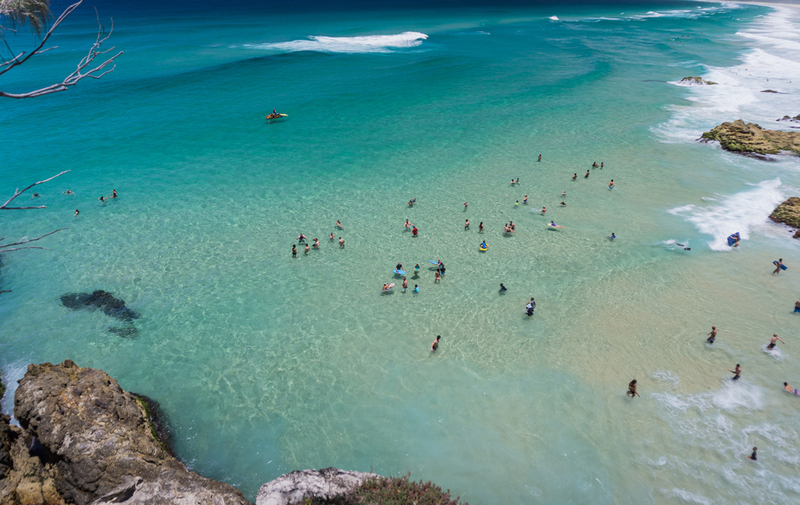 Escaping the madness of your week-to-week, mundane job could be as simple as making a swift escape to Stradbroke Island. Honestly, when I’m not gallivanting around the islands of the Pacific Ocean, you’ll find me here. 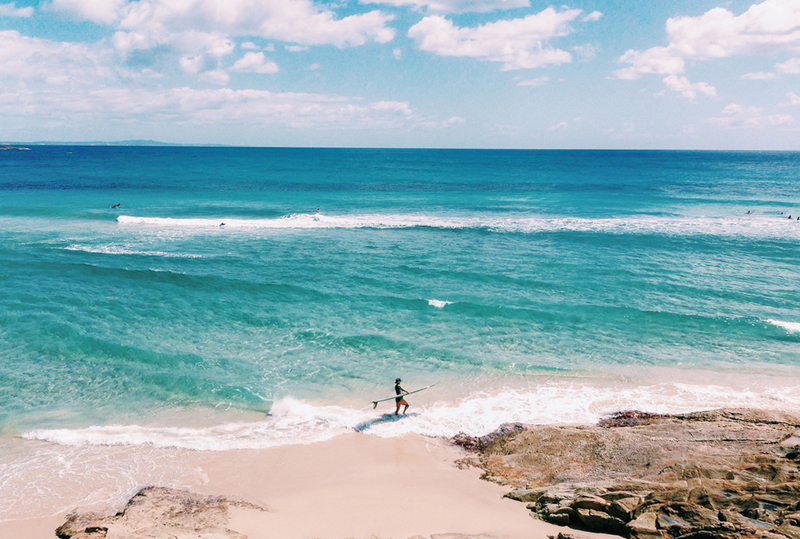 Stradbroke Island offers a world of blue hues and coastal walks that you have to see to believe. 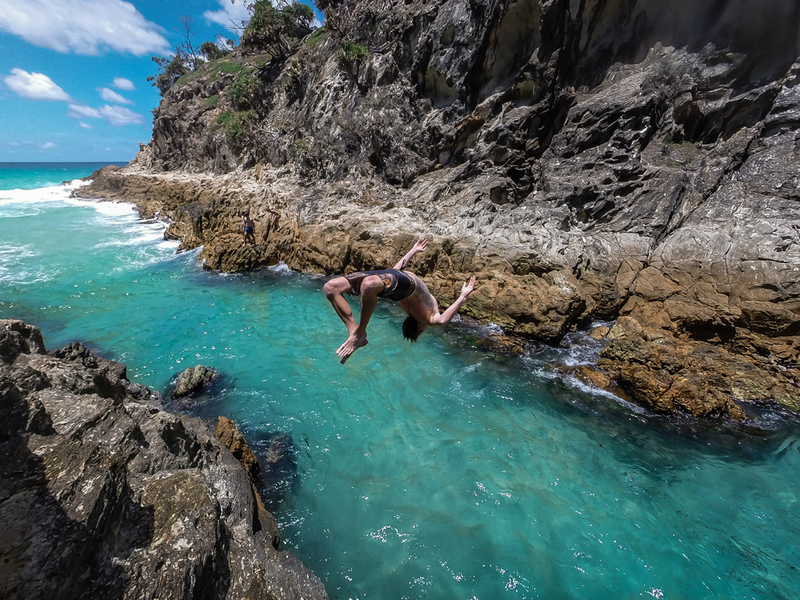 Only a short forty-minute ferry ride from the Cleveland ferry terminal in East Brisbane, Stradbroke Island is bound to impress and surprise even the most well travelled, vagabond soul. It might even cure that hungry desire to escape the everyday and just skip that international Balinese holiday all together – you know why? Because it ‘s just that good. 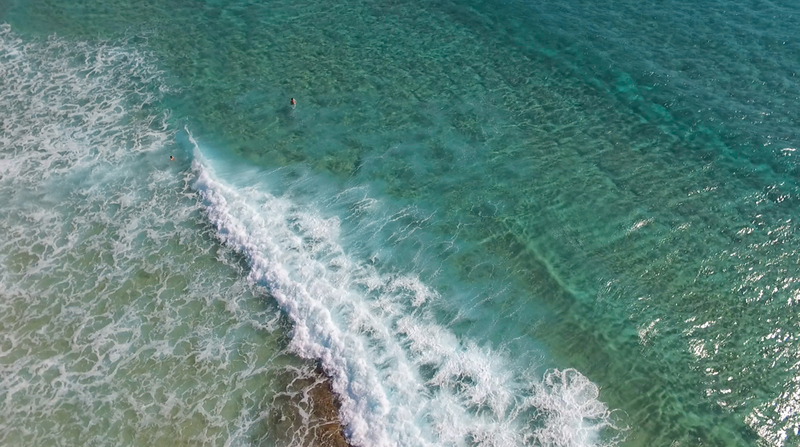 Save yourself the airfare and take the plunge into some of the most pristine water you’ll find on the Australian coastline, all within an hour trip from Brisbane and minus the hassle of customs. There are two options of travel if you decide to make the journey to Stradbroke Island – make that three if you own a boat, and four if you own a helicopter – but lets be real here. I’m poor, you’re poor…most of us are poor. So lets stick with the mainstream options we have available. If you only have a spare day, look at doing the day trip option. Travel on foot if you’re interested in a day trip and purchase a walk on passenger ticket from the Big Red Cat ferry ticket office in Cleveland. This will set you back $10 AUD and counts as your return trip as well. Bargain. Once arriving onto the island, you’ll need to get the bus (which arrives 15 minutes after your disembarkation from the ferry) and costs about $9 AUD return for adults. The bus will take you to North Stradbroke Island and Point Lookout. This is exactly where you want to plant yourself for the day and soak up all those island vibes. The second option – If you’re looking at spending more time on the island and wish to bring supplies and the car, you’ll need to purchase a vehicle ticket prior to your trip commencing. I’d recommend booking this well in advance as space fills up quickly, particularly on weekends and public holidays. The cost is considerably more ($130 AUD off peak), but is worth it if you plan on staying a few days, want the flexibility of having a car and aren’t too much of a scrimp. The cost also covers your return trip. If you’re exploring on foot, wander the coastal tracks of Point Lookout and venture down to the main beach just to the left of the surf club. Here is where you’ll find the most incredibly clear water and sheltered bays for swimming. If you pick a day where the winds are Northerly, this bay is the most ideal spot on the island. Now, for those of you who chose the car option, don’t fret – I haven’t forgotten about you. Assuming you’re not camping, and assuming you don’t want to sleep in the car with your three annoying children, it’s best we find you some form of accommodation. Discover Stradbroke Accommodation have got you covered as far as rentals and holiday homes are concerned. Located at Point Lookout, Discover Stradbroke Accommodation has a large selection of holiday homes and beach apartments readily available to rent for your stay. It’s best to book well in advance for one of these as they sell out quickly during peak periods of travel. All in all, Stradbroke Island offers guests and visitors an unbelievable home away from home travelling option. 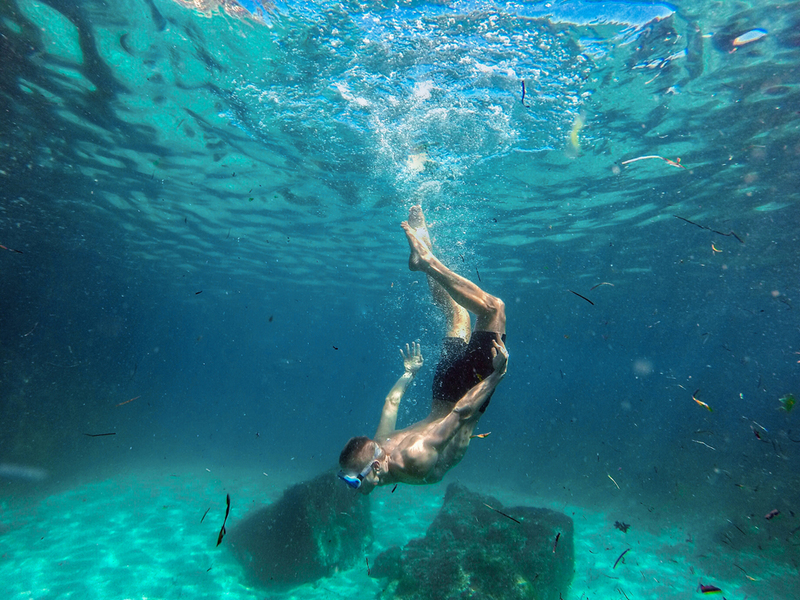 If you can pick a time of year to travel with minimal Easterly and South Easterly winds, the bays and beaches are incredible and offer some great snorkelling and diving. This is the most ideal getaway from Brisbane for family and friends and is guaranteed to tick all the boxes. For a full list of ferry timetables and price lists head on over to Stradbroke Ferries.